2018 Ford Edge For Sale In Vernon, Kelowna, Okanagan, BC. 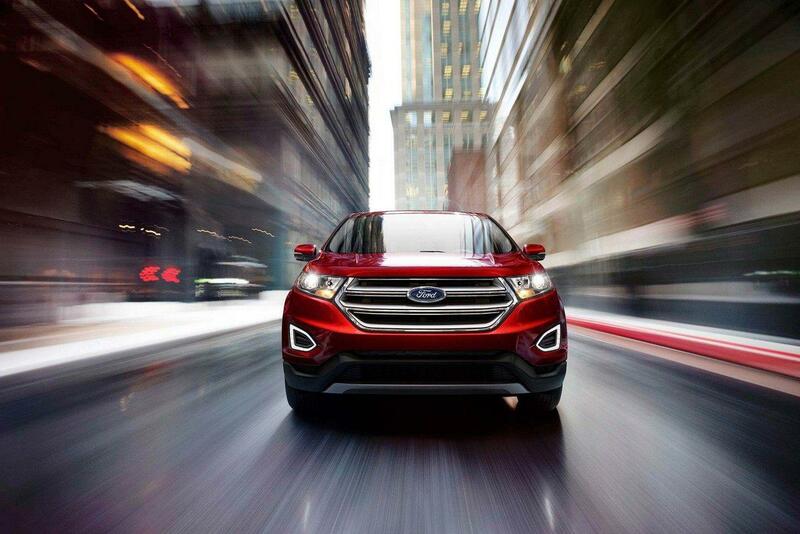 Take a step in the right direction with the innovative and effortlessly cool 2018 Ford Edge. With a spacious interior that seats up to five and a cunning four door exterior, you can take o more and bring everyone along. Available trim levels include the SE, SEL, Titanium, or the Sport. 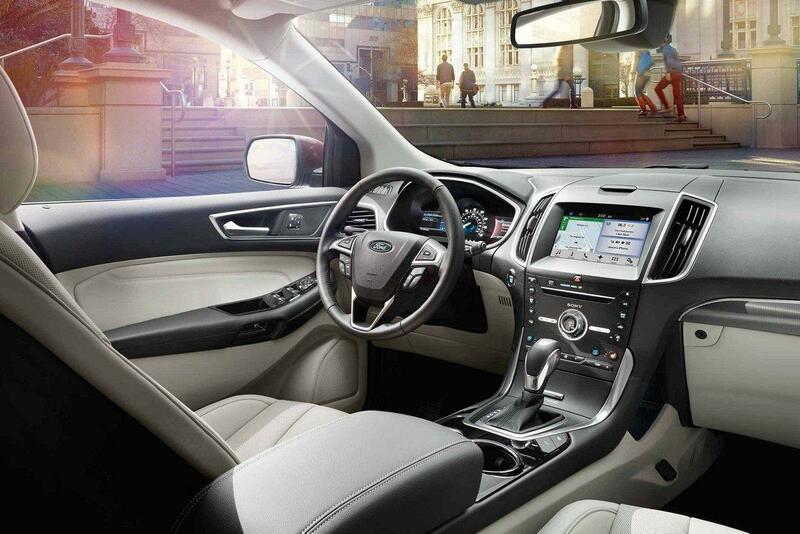 Engage with an interior design that was crafted with your needs in mind with the 2018 Ford Edge. Welcoming you is available ambient lighting as you encounter the luxury of the available leather-trimmed sport seats. Take on weather extremes in winter and summer with the available heated and cooled front seats as you accommodate for temperatures on both ends of the spectrum. Comfort is promoted with the available 10-way power adjustable driver's seat as you enjoy lasting support no matter how long the journey. Take the available leather-wrapped and heated steering wheel into your hands for an added touch of refinement. Modern technology allows you to set and maintain two different front temperatures simultaneously through the available Dual-Zone Electronic Automatic Temperature Control System. Find a spot for everything you need as the second-row 60/40 fold-down seats allow you to customize your layout as needed. 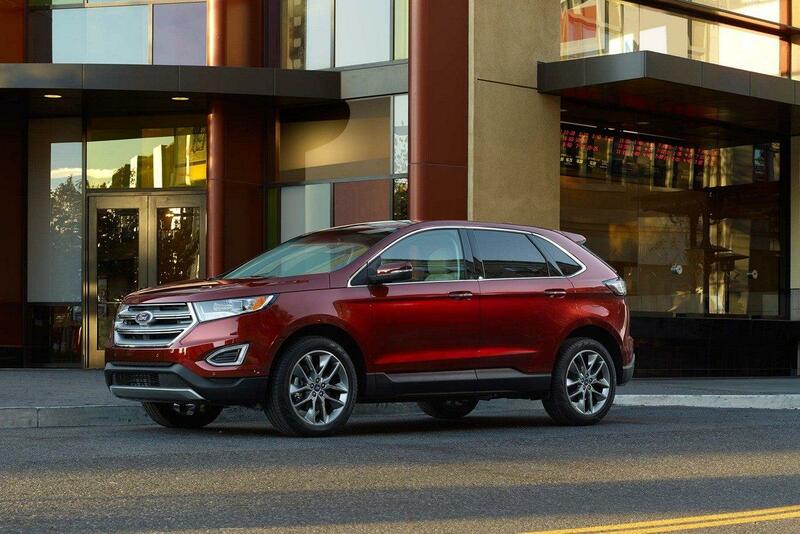 A remarkable design is presented on the exterior of the 2018 Ford Edge. Increase visibility with the Bi-Functional Projector-Beam Halogen Headlights, daytime running lights, and LED taillights for a constant ability to see and be seen on the road. Refined details such as the optional piano black grille with magnetic accents and available trapezoidal fascia-integrated bright exhaust tips draw in attention as the available active grille shutters enhance aerodynamics. Make the most of each moment spent on the road in the 2018 Ford Edge as modern technology delivers an ability to stay connected without distraction. You are given access to your smartphone through the available SYNC 3 system with Bluetooth capability, allowing you to make hands-free phone calls and more. Find each destination without fear of getting lost or trying to follow a map as the available voice-activated navigation system guides you without requiring you to take your eyes off the road. With each Ford vehicle comes a series of customizable Genuine Ford Parts and Accessories, which help to enhance your vehicle to match your lifestyle. On the 2018 Ford Edge you are given the ability to enhance your interior and exterior protection and well as increase style and functionality. Dependable power is yours to enjoy in the 2018 Ford Edge as you tackle a variety of road conditions with confidence. Featuring an Intelligent All-Wheel Drive System, this vehicle does more than just get you there; it elevates your experience along the way. Responsive control is provided through the 6-Speed Selectshift Automatic Transmission as you increase handling and control. Advanced craftsmanship is always in style, and the 2018 Ford Edge delivers not only a high-quality design but also a deep understanding of driver needs. Check out the 2018 Ford Edge your local Vernon Ford Dealer – Watkin Motors Ford. Whether you are looking to test drive, lease or buy, Watkin Motors Ford is here o help you along every step of the way.